Posted November 23, 2017 by Josette Farrell in News. 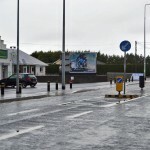 The need for traffic calming measures through Claregalway will be reassessed in the New Year, Galway Council has said. 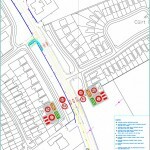 Senior engineer Damien Mitchell confirmed plans for traffic calming through the village have been delayed until the impact of the new M17 motorway on traffic patterns is assessed. “Claregalway traffic-calming plans have been put on the long-finger until the effect of the motorway is assessed. It will be after Christmas until we look at it. We want to see what impact the motorway is having,” he said. Meanwhile, the need for safety measures at Rooaunmore Crossroads was raised at the meeting. 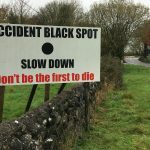 Frank Kearney (FG) said there had been an awful lot of accidents at the crossroads, which is on the Galway side of Turloughmore GAA pitch, on what used to be the N63 Headford to Athenry road. Cllr Kearney asked the Council to put safety measures in place at that junction. He told the meeting that he had the misfortune of being involved in a road traffic accident at that junction 20 years ago, when he had a car full of children who he was driving to school. “It’s still a very dangerous junction – nothing has been done to it since then,” he said. Earlier, a delegation from Bawnmore made a presentation on the need for news safety measures at Bawnmore Cross.